17 miles, raising money for the Trust and Slough Pitstop Project. A Charity Golf Day Event was held on 24th September 2018 organised by Jim McLaughlin - chairman. This was a fantastic day where we raised over £2,500.00 with a further £750.00 from South Buckingham Golf Club which brings our total figure raised for the GOLF DAY EVENT charity to £3,050.00. Doors opened at 4:30pm with students and parents had the opportunity to look around PitStop as well as exhibits that people had brought. Special thanks goes to Michael Woloszyn for bringing his rally car! Michael is a PitStop tutor and with his experience as a rally car driver knows cars inside out. Luckily for us Michael kindly brought the car he uses at official rally races. Guests at the PitStop Awards Evening were able to have a closer look than most people normally see. We especially appreciate Michael bringing his car in as we know how much work and time he puts into it. The awarding of prizes started just after 5pm. QPR fans were ecstatic to see Olamide Shodipo was our guest speaker. Mr Shodipo spoke to our students and guests, drawing on his past experiences and talking about the hard work and dedication he put into getting to where he is now. He then gave out the awards. PitStop is happy to say that Olamide Shodipo is the latest in a series of great speakers from QPR. PitStop has enjoyed a great relationship with QPR over the years and enjoyed a number of brilliant speakers from their team such as Chris Ramsey, Clint Hill and the QPR Youth Development Squad. Jim McLauglin and SEGRO Business Watch Manager and PitStop Chairman gave out the Most Motivated Student of the Year Award to Adil Razwan who got a Gold Cup and Tool box and Overall Student of the Year to Megan Cloake who also got a Gold Cup and a Tool box. John Kemp Vice PitStop Chair gave out the Motor Vehicle Group of the year to Arbour Vale and the Construction Group of the Year to Manor Green School. Shane O’Toole PitStop Board Member gave out the IO Award for Highest Achiever to Rhys Roberts who also received a Book Voucher. Head Chief Mark Weavers gave the prize for the Most Improved Student to Kia Black. David Hurley gave a Tool Bag to Jordan Clarke as the Construction Pupil of the Year. Jaspal Sandhu was awarded with a Memory Stick and Set of Spanners for being theMotor Vehicle student of the year. A little bit about our Sponsors and the prises they have donated! Synergy Health and Fitness are all about helping people achieve their fitness goals. AS they’re neighbours on Slough Trading Estate, when they heard we were looking for prizes for our students, immediately decided to reward some of our top 25 achievers with gym passes. This will enable them to be not only be at the top of their game with their skills and mental fitness but to also be the best they can be physically too. IO is one of the largest named data centres in the Europe, it is an environmentally and socially responsible company that takes an interest in the community in which part. They approached PitStop about its relocation and its Awards Evening and has donated an enormous £5,000. We are incredibly grateful for the donation IO has given us and are sure that the prises that have been bought with part of this donation will be appreciated by the learners who are have worked hard to get them. We look forward to continuing our relationship with IO in the future. SEGRO the owners of the trading estate have donated £200 to PitStop. We are lucky enough to have had the friendship of SEGRO for many years now and are very grateful for this. The prizes tonight given for 'Most Motivated Student' and 'Overall Student of the Year' will have come from this donation as will other prizes. Without the kindness and generosity of companies like IO, SEGRO, QPR and Synergy we would not be able to reach as many young people as we do now. With the future move of the Construction and Motor Vehicle courses into one building on Buckingham Avenue on the horizon and plans to increase the number of students we can train, we appreciate the kindness of our benefactors more than ever. After awards had been given out there was food made by the wonderful vocational catering centre Kitchen Craft. Our fantastic Kitchen Craft duo of Head Chef Mark and Chef Tania with the help of past pupil Megan Cloake put on a delightful spread of food including Biriani. There was also the most incredible egg free brownies. It was a fantastic feast of delicious food that I am sure everyone enjoyed as much as I did. A big thank you to SEGRO for their donation to PitStop for our Awards Evening October 2016. SEGRO the owners of Slough trading estate, the largest business estate of under single ownership in Europe have kindly donated £200 toward our PitStop Awards Evening this year. We will be using this generous donation to fund prizes for students who have distinguished themselves over the last year through persistent hard work, academic excellence, greatest improvement and workshop skills. Pitstop has received a very generous donation from IO UK One Limited, who has recently built its Data Centre onthe Slough Trading Estate. We will be allocating this funding towards paying for additional teaching resources which are needed to support the pupils taking their BTEC Qualifications. The additional resources will enable our tutors to deliver engaging and inclusive lessons to reach the needs of all the groups that attend. In addition we will also purchase ‘TechSoft’, which is a specialist software package which will facilitate the teaching of the Level 2 BTEC qualification. 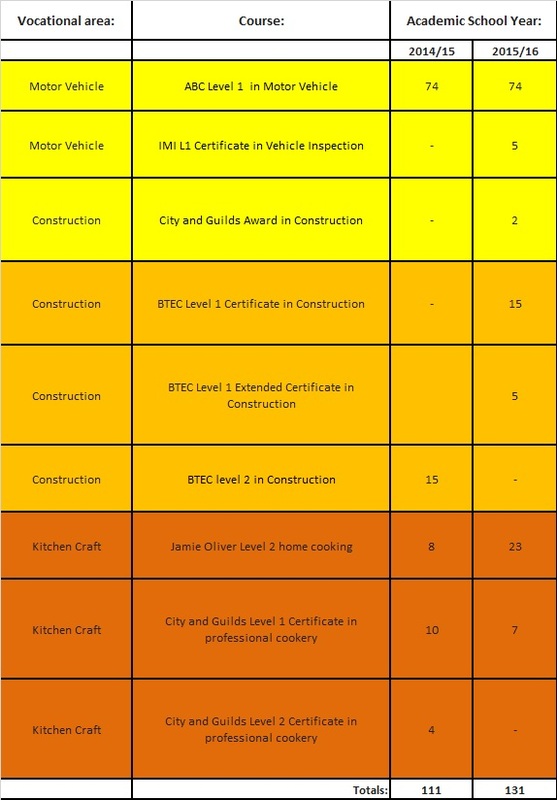 This is a much needed tool for our pupils to succeed in getting the best qualification during their time at PitStop. The software will aid learners in developing technical computer based drawings in order to successfully complete their Construction Drawing Techniques unit. A very big thank you to IO once again for supporting a local community charity. IO UK One Limited website. Pupils, family and friends attended the Pitstop Awards evening when Chris Ramsey, Queen's Park Rangers Manager, invited as guest speaker, presented students with their Certificates and 'Special Awards' after he gave a motivational speech, which focused on encouraging young people to be single minded to succeed. Over a hundred certificates and 'Special Recognition Awards' were presented to students from local schools, including Haybrook College, in recognition of their achievements in vocational subjects; Motor Vehicle Maintenance, Kitchen Craft, Construction. The Overall Student of the Year Award was Cameron Davies. Everyone enjoyed a hot buffet prepared by Kitchen Craft pupils and Staff. Ferrari displayed their luxury sports car and allowed those that wanted to have a sit in it. There was also a rally car on display. A big thank you to all our Sponsors for supporting the pupils and event, O2, 3, Mars,Ferrari and Segro, Business Watch. 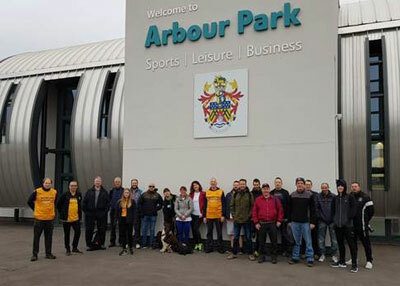 Arbour Park to Kingfield Stadium, Woking,Saturday March 23rd. A total of eight awards were presented to students from local schools, including Haybrook College, recognising certifications and qualifications in vocational subjects achieved across all 3 vocational subjects; Motor Vehicle Maintenance, Kitchen Craft, Construction. and the Overall Student of the Year Award went to Cameron Davies. Everyone enjoyed a hot buffet prepared by Kitchen Craft pupils and Staff. Ferrari displayed their luxury sports car and allowed those that wanted to have a sit in it, and also a rally car. A big thank you to all our Sponsors for supporting the pupils and event, O2, 3, Mars and Ferrari.